Have you wanted to build your own drift car for a while? Is the cost of creating your car from scratch putting you off? Drifting has become popular in recent years, with the UK drift car fans increasing in numbers in the last decade or so. If you’ve been one of these fans for a while and your dream has been to build a drift car, but the expense has been putting you off, then fear not! It’s possible to get your car together without breaking the bank. To get you started on your personal drift car-building journey, here’s a roundup of affordable ideas offering wallet-friendly inspiration. There are some key points to consider while shopping around for your car. You need something with a long chassis, as this feature makes them easier to drift as well as being less likely to oversteer. It also needs to ideally be a model with its engine at the front because this avoids the car swinging around corners too hard. In addition, cars that are lower to the ground can make for ideal drifters. As you’re just starting out and you’re building on a budget, steer clear of the big drifting names. Models such as the BMW E30, Toyota AE86 and the 2JZ Supra are all impressive, turbocharged beasts, but when you’re trying to keep costs down, you need to spend some time researching the models that are within your range while still making excellent drift cars. 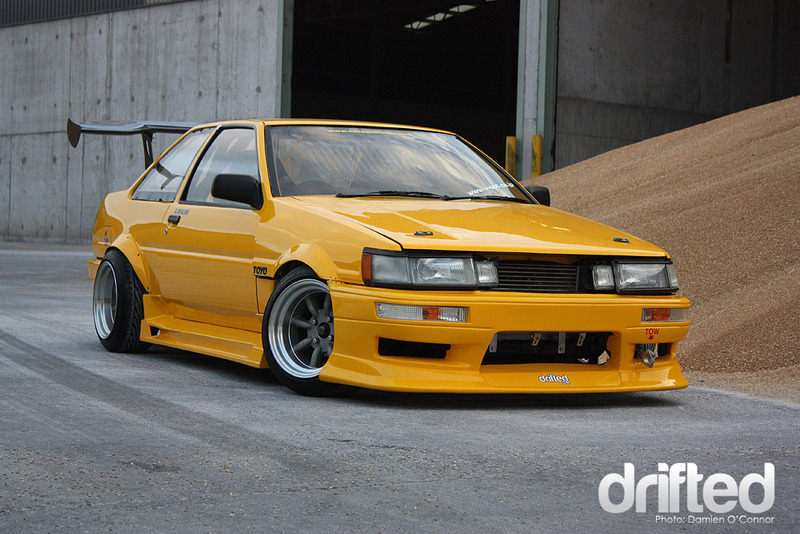 Perhaps an obvious choice for drift fans, but you can’t beat a classic. Lightweight, high-performing, and delivering four-wheel drive like a dream, this is the ultimate choice for racing. In fact, they’re still popular among pro drifters. Depending on how much of a build you have in mind, you can pick up one of these for a few thousand pounds, so they’re at the more expensive end of your budget. However, many will already have drift mods, making your task that little bit easier. You’ll find this one is excellent value for your money, especially the 325i coupe, which can be picked up for around £1,000 if you do your research. As well as delivering on reliability and affordability, the powerful six-cylinder engine lends this car to drifting. As it’s a popular choice, you’re likely to find plenty of spare parts if you shop around the scrap yards and online. In addition, having the right tools from the off from somewhere like RS Components can go a long way to helping you create the dream build. There are plenty of other models out there that you’re sure to come across, however, these are two of the most reputable drift cars to start out with. You’ll find you can put your own stamp on these without running up a huge bill. « So, You Want To Take Up Extreme Motorsports?